Christmas is a perfect time to practice leading with spirit. We talk about how we want the world to be... how we want our lives to be... how we want our employees and coworkers to be. The best way to do that is to be the way you want others to be. Like Mahatma Gandhi said, "Be the change you want to see in the world." It's such a common quote, but how do we live it? Like anything, start where you are. 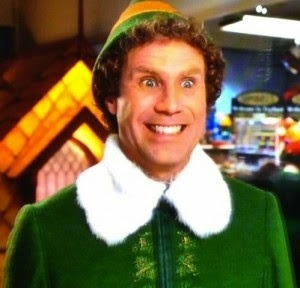 We have eight sleeps until Christmas. If you would like your workplace, employees, colleagues, leaders, suppliers, and any stakeholders to have spirit, start being the spirit. I have a Christmas Spirit Challenge ongoing now on my Facebook page that you can take part in (and enter to win a meditation CD for your workplace). Make a list of things you can do to spread the Christmas spirit and commit to doing one thing (or more) every day from now until Christmas Day. Get your employees and coworkers involved. Post photos on my Facebook page and enter to win! Be a Leader with Spirit. Buy a coffee/tea/hot chocolate for a coworker. Leave a note on an employee's/coworker's desk about how great a job they are doing (be specific). Gather a group together to sing Christmas carols at a senior's home. Give your employees the day off to volunteer. Give a delivery person a card with a personal note. Spend an afternoon with your team identifying ways you can help each other out with work or even personal 'stuff'. Commit to really listening to someone - without any need to be right or respond. Just listen. Add to the list... share your ideas and post your photos. Let's have some fun and find the true meaning of Christmas in the workplace. Be an elf!